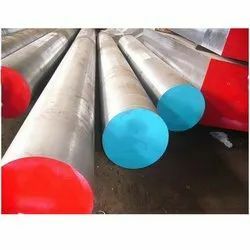 Steel Properties : Hot work steel with good toughness include tungsten Chromium Carbon Vanadium usually is working hardness is 40.0 to 55.0 HRC size available in round, flat and square. We are offering Hot Work Steel Bars. These Hot Work Steel Bars work with heat. They are recognized for great wear resistance, heat conductivity, hardness and robustness at increased temperatures. These Hot Work Steel Bars have better features for use due to decreased sulphur level. It is mainly used for manufacturing hot-extrusion die, swage hammers, etc. We are a supplier of Hot Work Tool Steel AISI H13 in India. These H13 Steel Flats score high on the aspect of durability. We are identified as one of the leading names in the market engaged in providing a wide range of H-21 Hot Work Tool Steel to our valued clients. Purohit Steel India Pvt. Ltd. Being a remarkable name in the wholesale industry, we are exquisitely engaged in providing our clients a top class range of Hot Work Tool Steel. These offered products are made by using top class inputs altogether with modernized machinery & technology. Spotted a leading firm, we offer Hot Working Tool Steel to our clients.